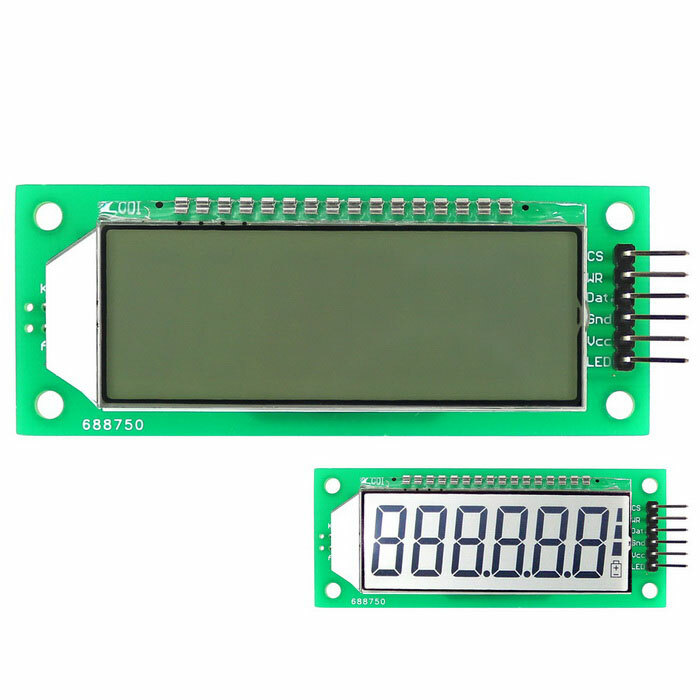 This is a 6-digit 7-segment LCD display module and this screen is already widely used in multimeter, electronic scales, electronic clock and ultrasonic distance measurement. It is suitable for Ar duino motherboard and the other 5V mcu, and it has a backlight which can help you to read the screen clearly in the dark. – Compatibility: can be directly connected to Arduino board, 51, AVR board. – Applications: Thermometers, multimeter, electronic scales, DIY projects, etc.